Killing operations of British and American remote-controlled combat drones have become during the last two decades a new kind of warfare. During the Obama administration – and after the disastrous occupation in Iraq – these operations have become the significant shaping of the “Global War on Terror” (GWOT) after 9/11 (the terror attacks on the US in 2001). The drone strikes (currently mainly in Afghanistan, Pakistan, Somalia and Yemen) serve the killing of suspected members of terrorist groups, so-called targeted killings. But this is anything but precise or surgical, because the missile strikes with which the terror suspects are quasi executed, take the lives of many bystanders or civilians. In many strikes now the identity of the target person will not be known any more: The signature strikes are a type of dragnet investigation and on-site execution by rockets – in “strike zones”, like in the tribal areas in Northwest Pakistan (FATA) or some provinces in Yemen. Very general patterns of behaviour and group characteristics (“all military-age males in a strike zone”) suffice as cause for suspicion – on which the kill decision is based. The legal and political problems of this type of warfare are serious and diverse, after all, it is a form of extra-judicial execution by the state, it is killing based on suspicion and it is a covert, global “dirty” war, far away from declared battlefields. Unmanned technology enables military strikes in regions and situations where otherwise today operations may not happen anymore – because of political costs and/or high military risks. While this may be seen as a tactical advantage from an operational point of view it often constitutes heavy strategical or political drawbacks. Dangers also lie in the rapid escalation dynamics, which bring the Drone Wars with them: The world is at the beginning of a new arms race with automated weapons. The face of modern warfare is changing radically, largely autonomously acting killer robots are already in development. The background of this development consist of 120 years of unmanned technology, 100 years of armed drones, two world wars with an informational war going on in the background, 17 years of the “Global War on Terror” and worldwide surveillance of all electronic communications. All of this – and of course the general drive for automatisation and digitalisation – preludes and kicks off the steep rise in the use of unmanned – and increasingly automated – weapon systems. The Drone Technology (remotely controlled unmanned vehicles) itself is at least 120 years old and dates back to the iconic inventor Nikola Tesla. Tesla presented a patent for remote control of vehicles via radio waves on Juli 1st in 1898. In the same year he presented a remotely controlled boat at an exhibition in the Madison Square Garden in New York City. Since at least World War I drones would be used for military missions but for long they would remain only on the fringes of military technology. The Drone Technology had its breakthrough since the 1990ties owing on one hand to the military and political failure of the worlds superpowers in the asymmetric conflicts during the cold war, on the other hand to the exponentially increasing advance in the information technologies. The growing problem of the big military apparatus to lead successful military campaigns in asymmetric conflict, especially in the domains of counterinsurgency and military occupation, was clearly evident after the disastrous and bloody adventures of both world powers in Vietnam in the nineteen seventies and in Afghanistan in the nineteen eighties, and even grew further after the end of the cold war. The Drone Technology lost their niche existence when the information technological base would emerge to not also steer a drone but also view the data – in nearly real time and around the globe. The “Global War on Terror” (GWOT) after 9/11 brought the political impulse for development und deployment in armed conflict of a number of remotely controlled and automated technologies. Besides many tactical advantages of armed drone missions the missing human factor is the major contributor for success: As these unmanned missions carry no risk for the military personnel one of the central tactics of jihadi insurgents will be to no avail. Unmanned technology transforms the societal conflict. We see missions that otherwise would not take place, or not anymore. Especially Kill or Capture missions, raids by special forces (especially from the US’s JSOC / USSOCOM) were increasingly substituted by drone strikes. On the other hand the drone strikes would go far beyond what was thinkable before as a special forces mission. In this we can see the escalating moment in the use of unmanned weapon systems in warfare. The heavy use of drone strikes in the GWOT has led to a massive erosion of international norms and humanitarian laws. Further we see the universal right to live is being put to question more than ever, a course of barbarization in the conduct of war and a steep decline in the relationships between Western and Muslim countries. So what we see here is societal conflict and technological progress together facilitating research and development and finally the deployment of a certain new technology: Only under the agenda of conflict (superpowers loosing the upper hand in asymmetrical conflicts) it is possible to allocate sufficient recourses (some heavy R and D funding) to the inception of that technology. The “Stand der Produktivkräfte” (state of the productive forces) only enables the introduction of certain new technologies, the societal development than is the sufficient condition for that – and on top of it capitalist profit interest of course. »Drones are a tool, not a policy. The policy is assassination. But drone strikes often kill people other than the intended target. These deaths, which have included women and children, dwarf the number of actual combatants who have been assassinated by drones. They have generated anger toward the United States among foreign populations and have even become a recruiting tool for jihadists.« Jeremy Scahill: »The Assassination Complex« (New York 2017). 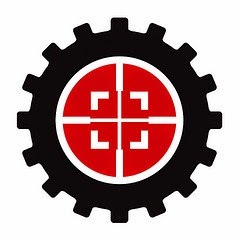 – So political action that wants to counter the drone killings must not be aimed against the technology itself (drones, or in general remotely controlled, unmanned vehicles) but against the policy (targeted killings against suspected political adversaries, as part of the anti terror warfare in general). At the same time the Drone Wars have been bringing to life another round of facilitation and implementation of a new generation of technologies – thus driving the global arms race into another round, this time in the area of lethal autonomy AKA killer robots. Outlook: The concurrence of diverse fields of technological innovation carries additional dangers in regard of their escalating and transformative potential for conflict. Such fields are (besides the steep rise in the use of unmanned vehicles in the conduct of war) of course the overall course for automatisation and robotisation; Big Data, Swarm Intelligence, Quantum Computing, Machine Learning and Artificial Intelligence; Nanotech, especially in combination with advances in Neurobiology and Genetics; Hypersonic Technology, especially as a global strike technology; and last but not least the modernization of the nuclear weapons arsenal which the nuclear powers have just begun to implement. The combination of these new technologies may well be triggering uncontrollable risks even overshadowing the risks which came with nuclear deterrence during the cold war. Technological change also has brought to us new domains in which armed conflict will happen: Space (“star wars”) and Cyberspace (“cyber war”). Further adding to the potential for heavy escalation is the fact that in the cyber domain – and to a lesser degree also in the space domain – attacks are primarily attacks on civilian infrastructure, and also are very hard to attribute. Thus the necessary distinction between armed forces and civilians, and also between open hostilities from an adversary state and criminal activities from criminal groups or even media activists may not only become blurred but even undistinguishable. Here again we see conflict transformed through the advance of technology. Actors in conflict should strongly reject any idea of warfare or law enforcement against terror suspects based on extra-judicial killings. The use of remotely controlled “unmanned aerial vehicles” aka drones – either armed or not – has to be put under a set of strict and international regulations. International experts and NGOs advice urgently for a global ban on autonomous and armed killer robots. Any use of unmanned and automated technology in conflict must be put under meaningful human control at any time. Hence all governments should support the demands for a ban on lethal autonomous weapon systems (LAWS) at the CCWUN (convention on certain conventional weapons) in Geneva and at the General Assembly of the United Nations. State actors and agencies should consult intensely with nongovernmental institutions, with the sciences and with all groups of society, in the domestic area as on an international level, about possible effects and risks of upcoming technologies they plan to explore, support, introduce or deploy. Norbert Schepers, political scientist and head of the Bremen office of the Rosa Luxemburg Foundation; see www.norbert.schepers.info.